ALABAMA to play California Mid-State Fair! Tickets for the show will be $50, $65, $75, and $100 and will go on sale Friday, December 2nd at 10:00a. Tickets can be purchased online at www.midstatefair.com, by calling 1-800-909-FAIR or in person at the CMSF box office or any ValliTix outlet! 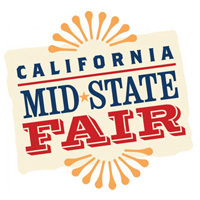 The 2012 California Mid-State Fair runs July 18, 2012, through July 29, 2012!